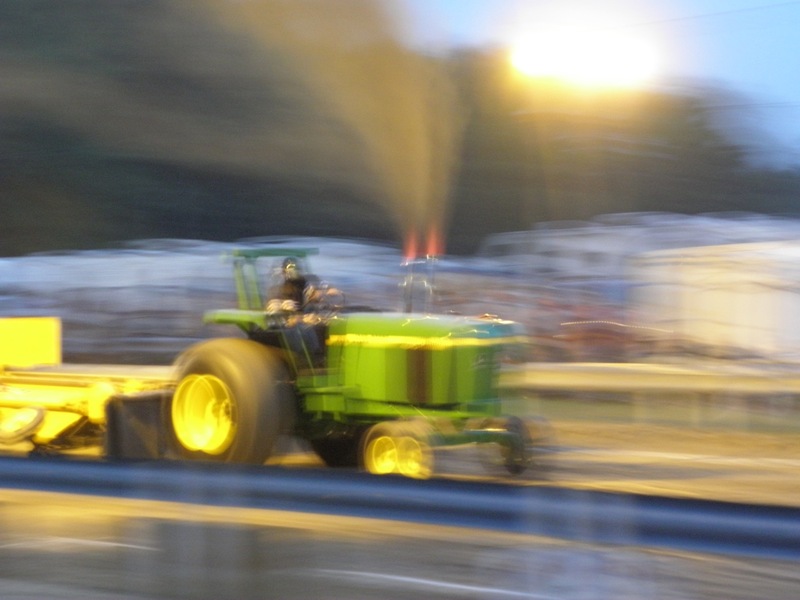 You are currently browsing the tag archive for the ‘Caterpillar’ tag. This 1944 Dodge has been parked along a North Fork highway for some time. Here’s the story. 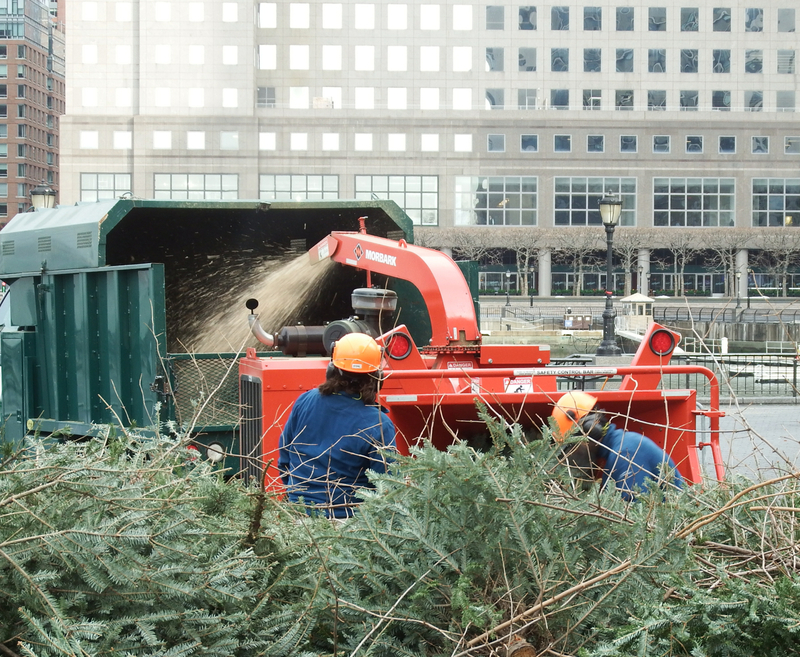 From the load on this truck parked in Battery Park City, you can tell the season. 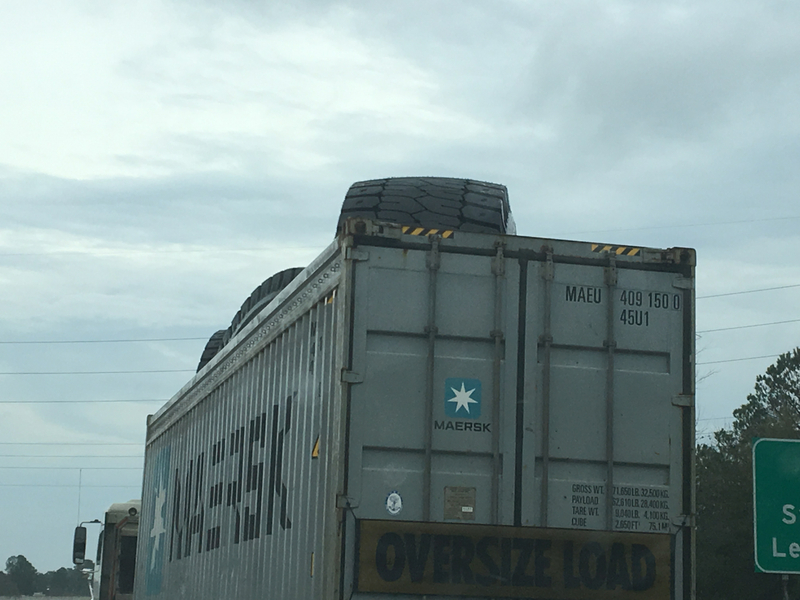 All these wheels distribute the weight of a wheelless Cat 854K Wheel Dozer. 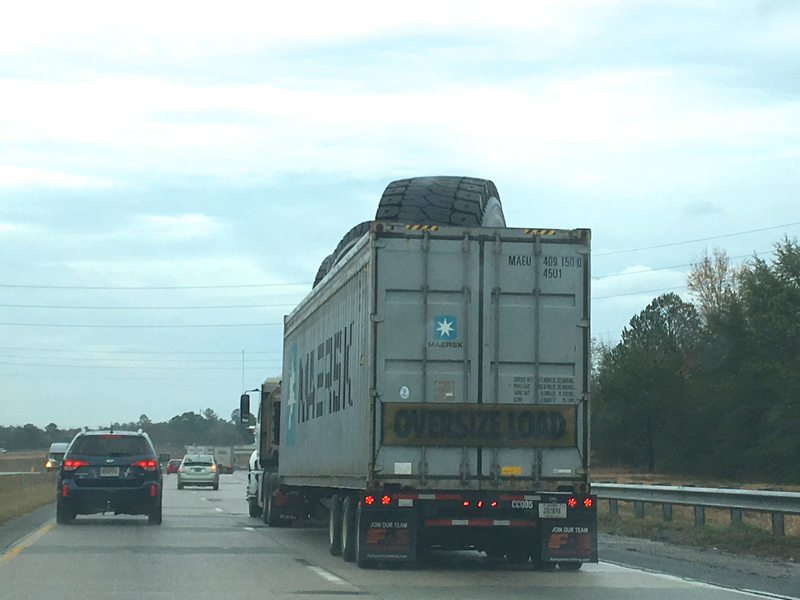 Farther down the highway, might these be the wheels, three of them at least? 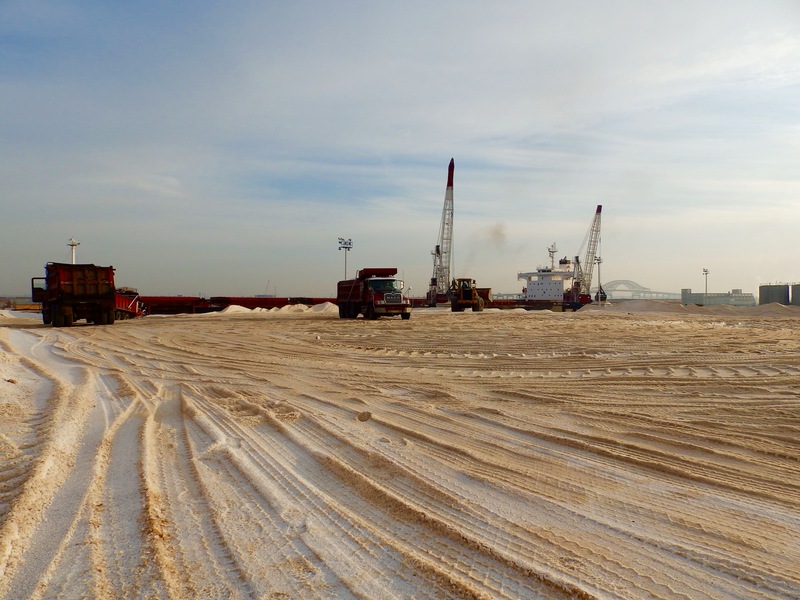 The Mammoet mobile is headed to a location where weight needs distributing as it moves. Click here for previous Mammoet references in this blog. Then there are trucks like this Ford with –I think–some parts from the late 40s and others from the mid-50s and who knows what else. Does the 0000 on the placard mean this tank is empty? 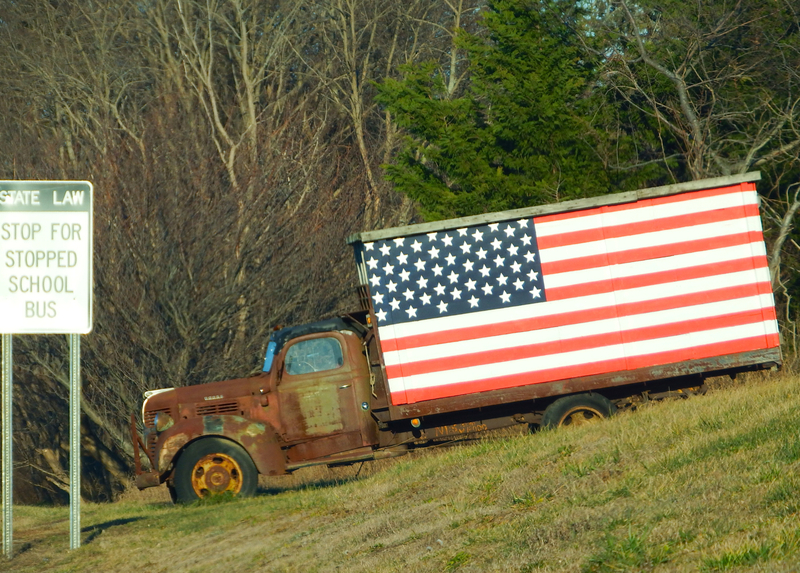 This is what International pickups looked like around the time I was born. Kudzu seems to have colonized this one. from a ship over in Port Newark. Here’s a National Geographic video partly filmed on Staten Island. 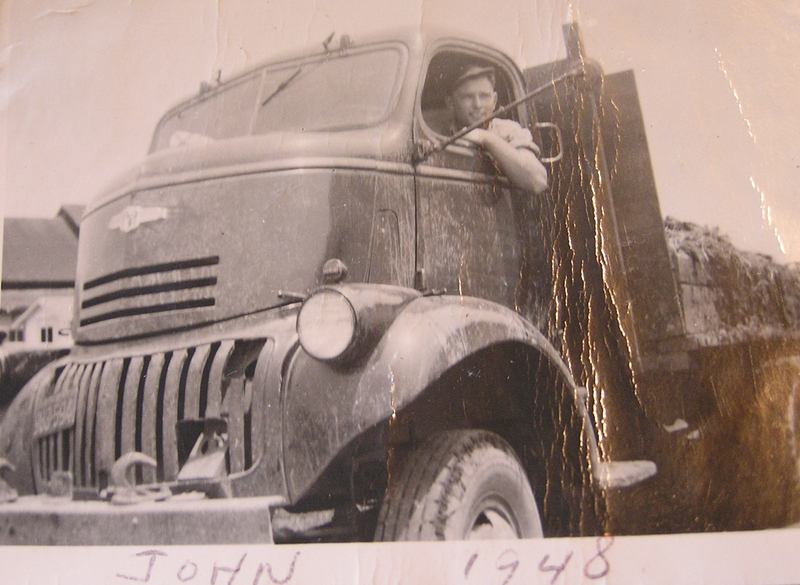 And finally, driving this late 40s COE Chevy transporting some pungent fertilizer is my father, who would have turned 90 this week. I’ve only ideas about who took the last photo, dated four years before I was born. All others here by Will Van Dorp. Many thanks to fjorder and Les for their comments to yesterday’s post. 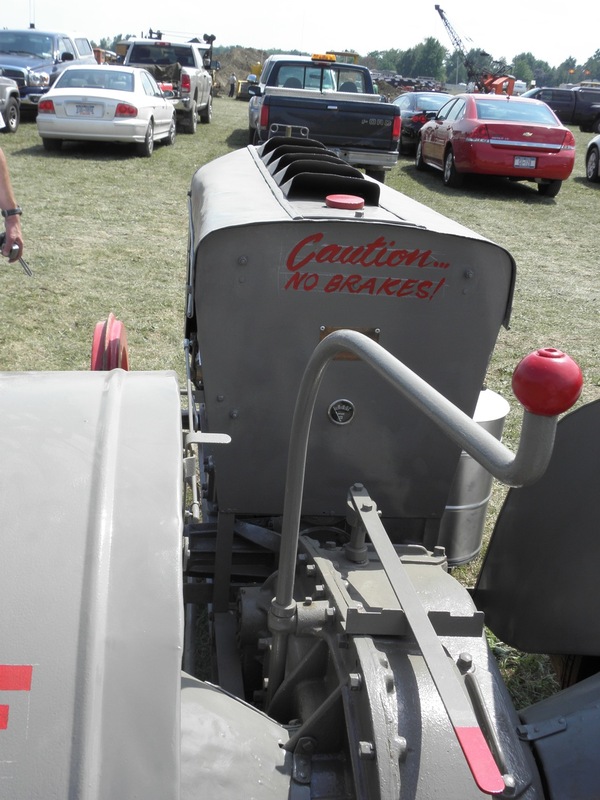 To follow fjorder’s link, check out this youtube of a tractor using a PT boat Packard V-12. 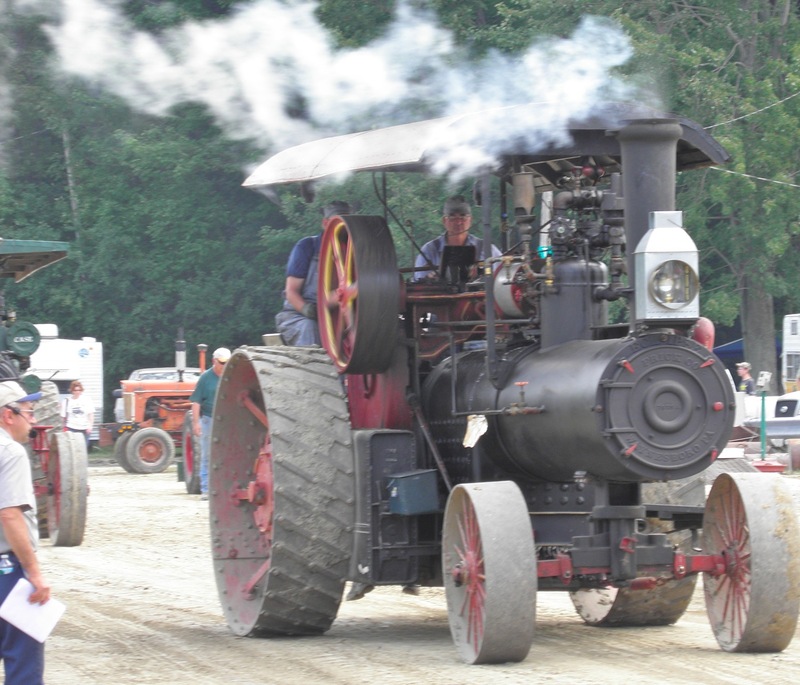 Against this context of of tractor/tug parallels, including references to “tractor tugs,” I offer a reprise of fotos and reportage on the Pageant of Steam. 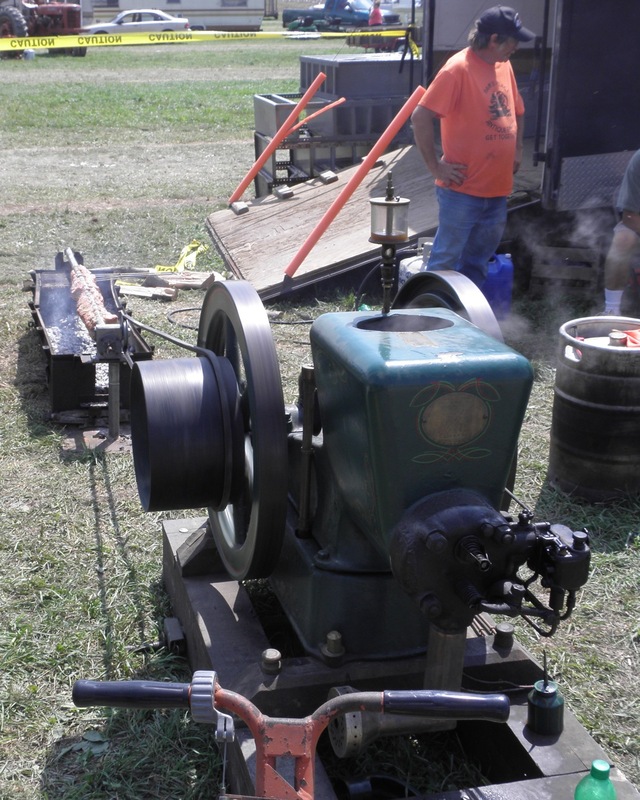 For me, seeing fire shoot out the “straight pipes” was magical. Remember . . . double click enlarges most fotos. 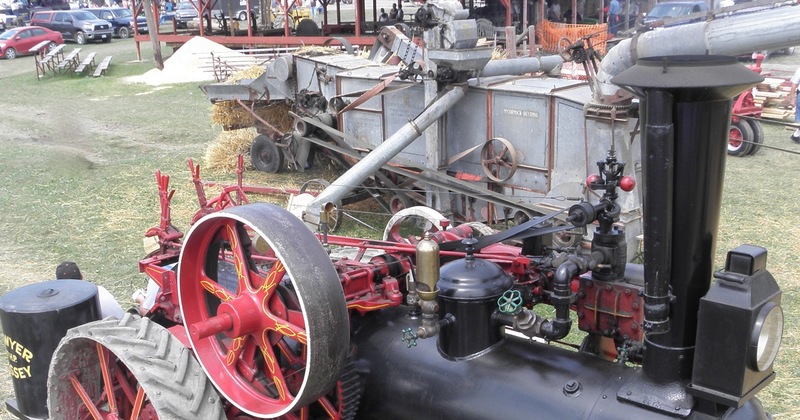 the belt-powered McCorrmick-Deering thresher, 1912 hay baler, and a sawmill . . . all operating. 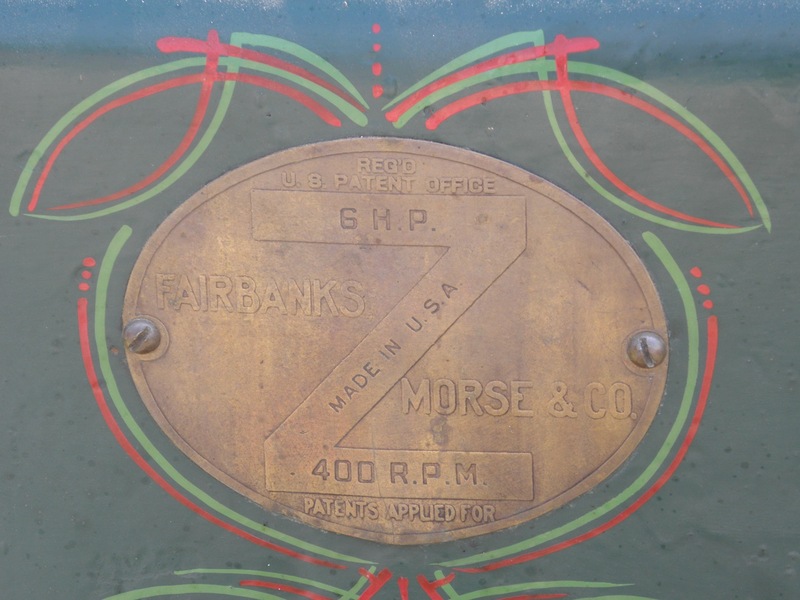 Fairbanks Morse, who started with farm machines and transitioned into engines for locomotives and ships. 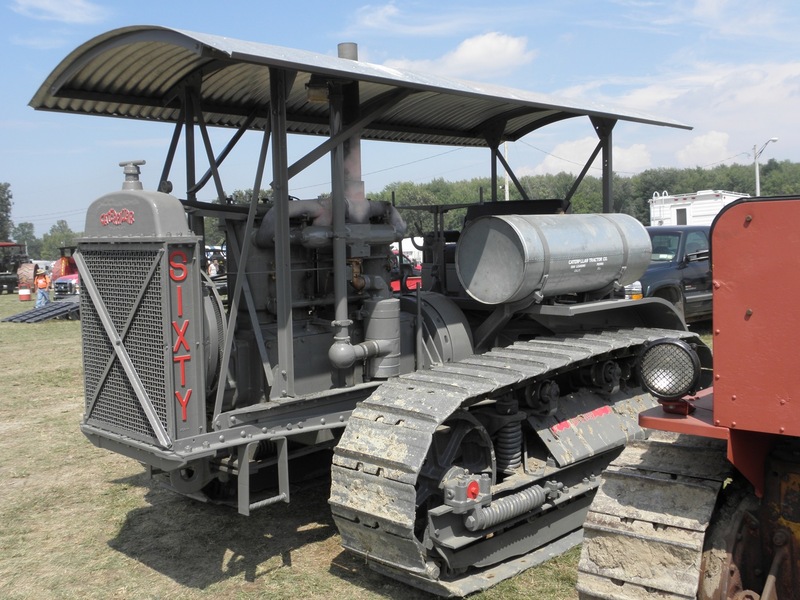 Caterpillar (who made the “Sixty” between 1925 and 1931) started with farm equipment and evolved into their huge contemporary array of heavy engines and machines. 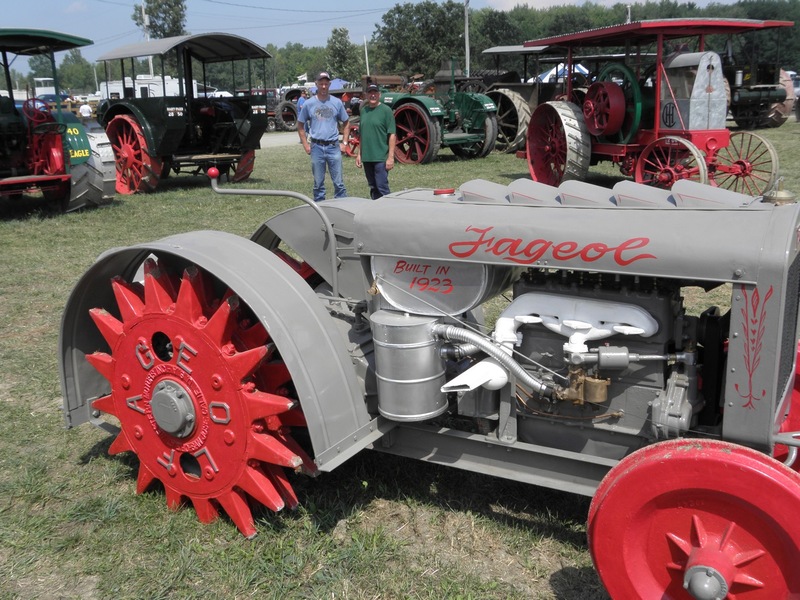 Guess the function of the curved rod tipped with a red knob and located between the rear wheels of this Fageol? Call it a huge mechanical joy stick if you wish . 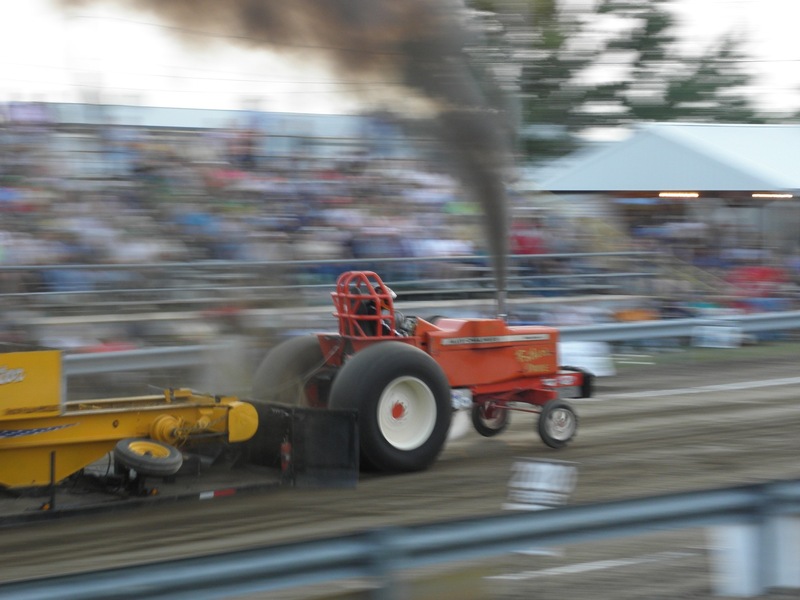 . . it’s a tiller. Fageols also had no clutch. The company eventually evolved into Peterbilt. 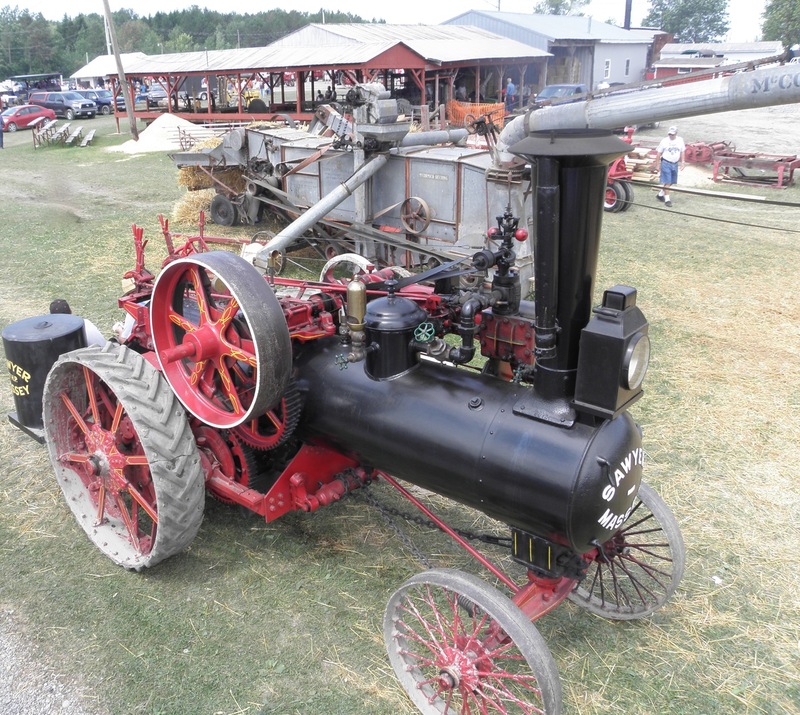 and this Oliver 77 were the “rides” of my growing up. 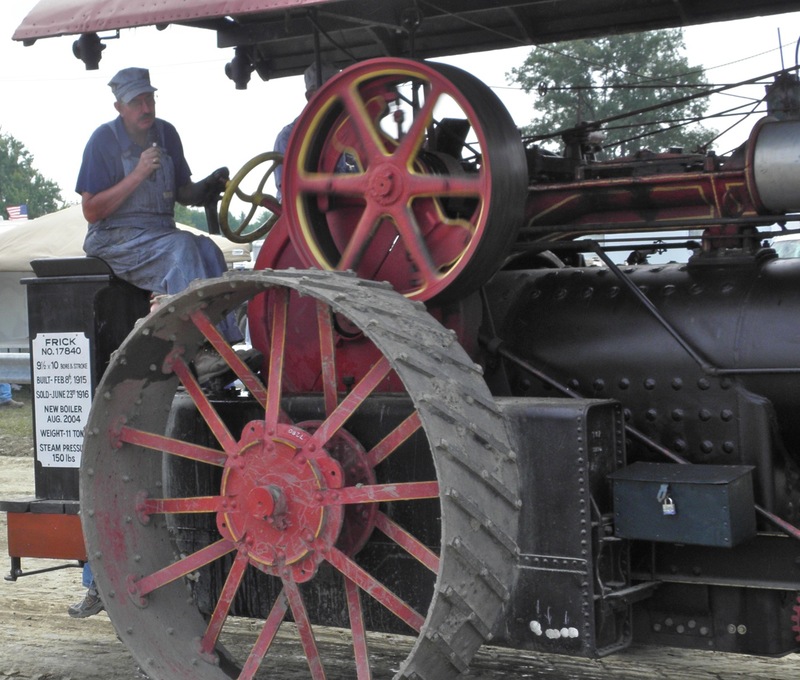 I drove an identical Oliver as a 12-year-old, although if ever I’d driven as these were the other night . . . I can’t imagine I’d be alive today. 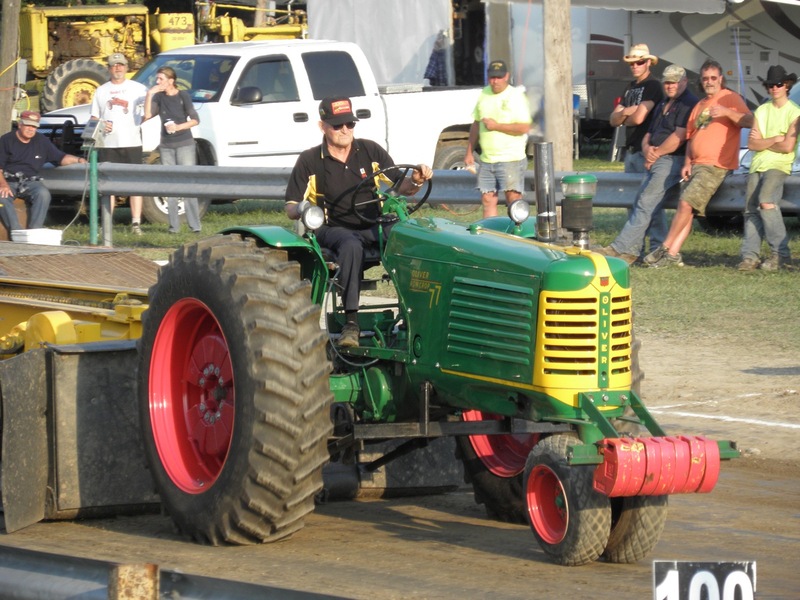 The red weights way forward keep the front wheels down during a pull. 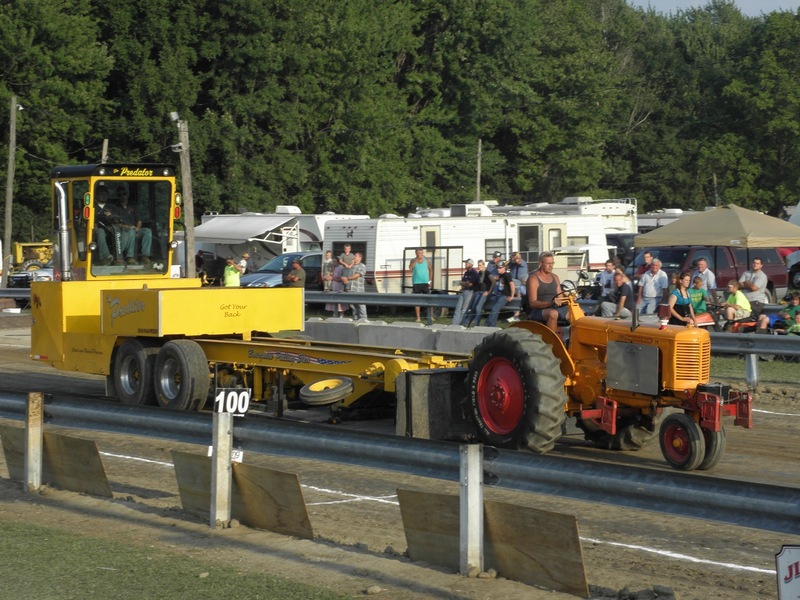 Some nomenclature for tractor pulls: this course was laid out over 300 feet, hence, the signs marking off increments like 100′, 200′ . . . etc. 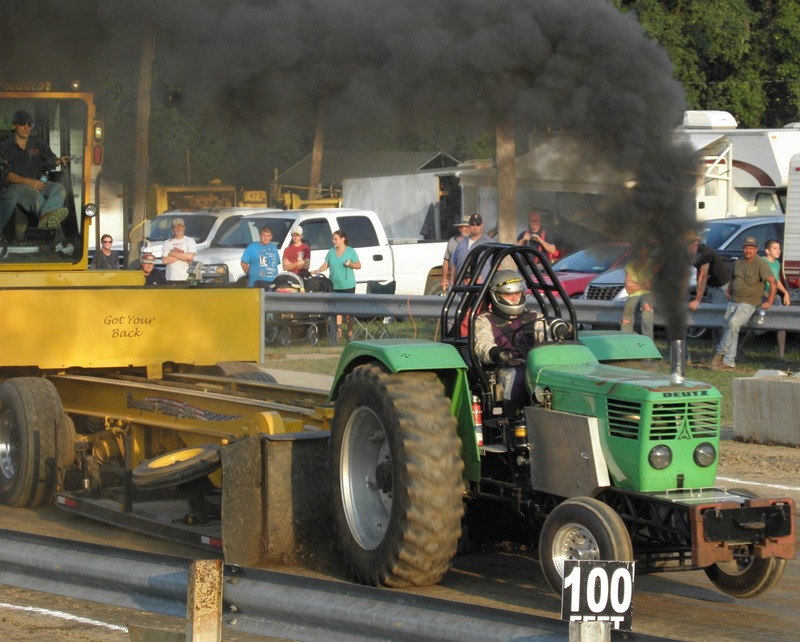 If a tractor pulls past the 300′ mark, it gets referred to as a “full pull” like a strike in bowling or a homerun in baseball. and Father’s Pride. 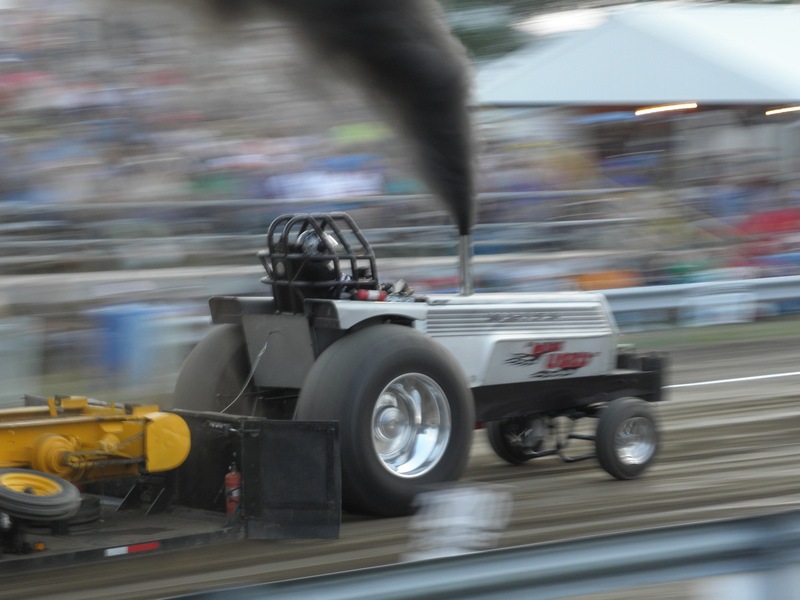 For more info on the “pullers,” here representing classes like “limited light farm pro” and limited light super stock,” click here. 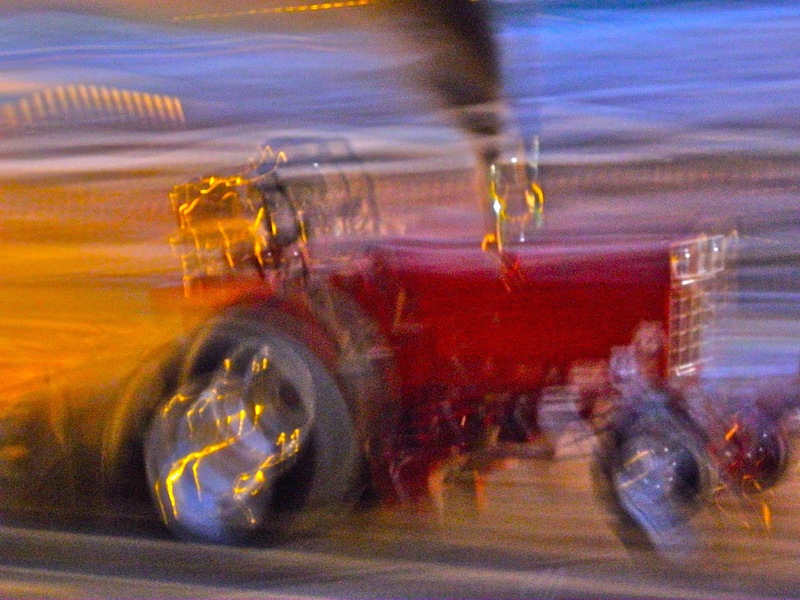 Call this my J. M. W. Turner version of an after dark foto: the tractor disappears into blurred movement; next time I go to a tractor pull . . . oh, yeah I will . . . I’m making video! 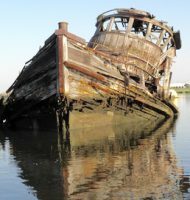 All fotos by Will Van Dorp, who’s still wondering about parallels between the Pageant and the impending Great North River Tugboat Race .